← When Do You Start To Feel Old? People have their own ideas about the best way to cook lobster. Lots of people I know are in the “let someone else do it” camp. Many of the local markets will do it for you. Hot, cooked lobster is a phone call away. But where’s the fun in that?! In my view, standing around the steaming pot, beer or wine in hand, anticipating the meal, is an important part of the process. My sensitivity in the treatment of animals does not extend to lobsters. I actually have no problem popping them head-first into a pot of boiling water. Let me re-phrase that. I stick them in a pot of steam created by a few inches of boiling, salted water. 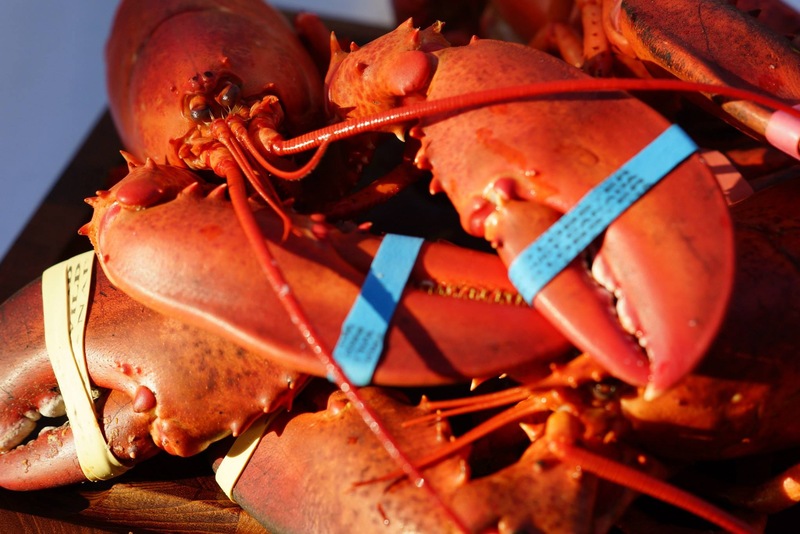 I think lobsters should be steamed rather than boiled. The meat tends to be more tender and certainly less watery when you crack the claws. I learned the basic technique from the people at Falmouth Fish a number of years ago, and it’s pretty much no fail. Bring about 3 inches of heavily salted water (think salt water) to a boil. Put the lobsters in the pot. Cover and bring back up to the boil. Then set a timer. Steam for 12 to 14 minutes for 1 1/2 pound lobsters. This is a prime example of being careful about the recipes you find on the internet. I saw one recipe for boiled lobster that indicated a 20 minute cooking time for a 1 1/2 pound lobster. That meat would be too chewy to eat! This entry was posted in General Musing, recipe. Bookmark the permalink.